Offering a stimulating diversity of perspectives, this collection examines how popular culture through mass media defines the scale and character of social interaction in the Middle East. The contributors approach popular culture broadly, with an interest in how it creates new scales of communication and new dimensions of identity that affect economics, politics, aesthetics, and performance. Reflected in these essays is the fact that mass media are as ubiquitous in Cairo and Karachi as in Los Angeles and Detroit. From Persian popular music in Beverly Hills to Egyptians' reaction to a recent film on Gamal Abdel Nasser; from postmodern Turkish novels to the music of an Israeli transsexual singer, the essays illustrate the multiple contexts of modern cultural production. The unfolding of modernity in colonial and postcolonial societies has been little analyzed until now. 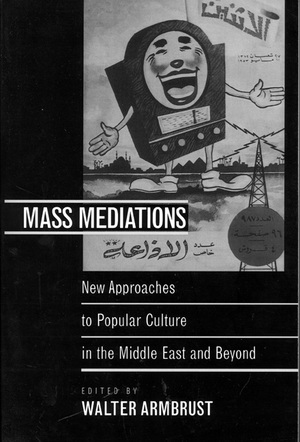 In addressing transnational aspects of Middle Eastern societies, the contributors also challenge conventional assumptions about the region and its relation to the West. The volume will have wide appeal both to Middle Eastern scholars and to readers interested in global and cultural studies. Walter Armbrust is Visiting Assistant Professor at the Center for Contemporary Arab Studies, Georgetown University. He is the author of Mass Culture and Modernism in Egypt (1996) and editor of The Seen and the Unseeable: Visual Culture in the Middle East (1998).